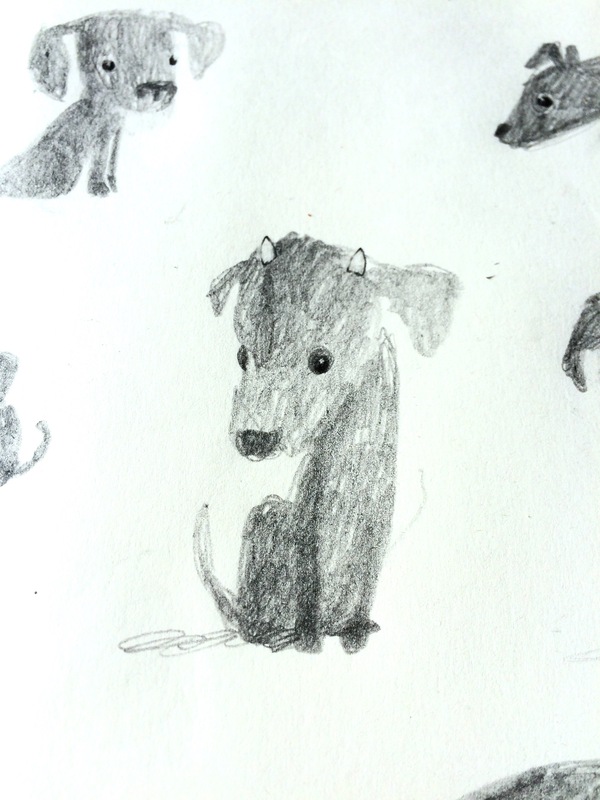 Further to the ‘monsters and dogs’ post, I have been doodling the character of Monster – who I think is a little girl canine, some sort of scruffy terrier-whippet mix. I’ve been enjoying creating a form, a character on the page, WITHOUT using line. The form emerging out of tone. I’ve been exploring what I can get away with not defining (all of the legs for example) and still read the pose and mood of the character. That’s ‘a thing’ for me, because my tendency with drawing is to explain everything. Maybe I don’t have to. 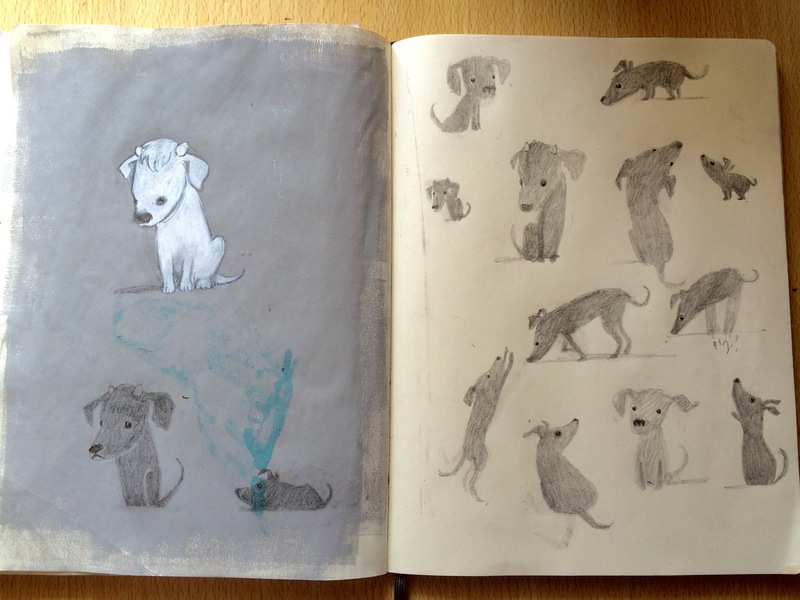 I’m going to try with white pencil on the left hand page, but I didn’t bring one with me on holiday. I’m away for the weekend with my two sons and my mum. I was, briefly, afforded 10 minutes to “doodle” while my mum went in the pool with the boys. 15 mins later I needed to get in the pool so my mum could get out. Whilst I was drawing a pool attendant passed me by, then came back to see what I was doing. “That’s pretty good for just a little doodle” he remarked, in a friendly manner. “Do you do much drawing?”. I took it as the compliment it was intended as.